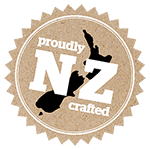 We are dedicated to serving up premium, New Zealand crafted, raw food to your cats and dogs. Driven by a natural passion for working with animals and a lifelong obsession for improving the health and well-being of pets – Carnivoro’s founder, Haisley Pace took hold of an opportunity to create a range of natural, raw, and nutritionally superior meal options to serve up to your much loved, household cats and dogs. Haisley discovered a niche opportunity of aligning superior, raw, wild game meats (whole animals) with farmed meat bases (free range wherever possible) to create a minimally processed, natural diet that is perfectly compatible with the digestive systems of your cats and dogs. Since our establishment in 2013, Carnivoro has earned itself a unique place in the New Zealand raw pet food market. Our ambition has always been to produce the highest quality, simplest, cleanest pet cuisine. What sets Carnivoro apart from other pet food companies is that we use a large proportion of premium quality, ethically sourced game meats in our pet food recipes. Wild animals are considered to be nutritionally superior to farmed animals as they eat a greater range of plant and herb species. They are also leaner than their farmed counterparts, and as a result your pets are leading healthier, happier lives. We focus on using pure, simple, whole food ingredients and do not add any preservatives, or any other additive - not even water. Unlike other pet food manufacturers, Carnivoro use whole animals or premium cuts in our blends- not just minced boney frames that compromise nutritional benifits. Our second unique advantage is that we control our entire manufacturing process through a tightly controlled MPI monitored system. We oversee the entire operation from sourcing our very own team of hunters, to manufacturing and blending the right balance of ingredients through to final packaging and delivery to store. As a result we can produce a uniquely, premium product at a very competitive price ensuring you can plate up nutritious meals every day which will see your pet thrive. Because of these key advantages, Carnivoro has been able to grow from humble beginnings in a former butcher's store in Northland to a nationally distributed brand, and are certified and ready for export. We're a small but passionate team and look forward to providing you with a great product and brand for your pet coupled with excellent service!